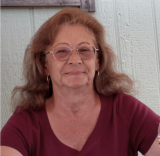 Sharon (Ross) (Timmer) Kovalik of Pine, Arizona, passed away unexpectedly in Phoenix, Arizona on November 5, 2014. She was born on December 7, 1947 in Sioux Falls, South Dakota to Charles and Donna Ross. She was among the first graduating class from Lincoln High School in Sioux Falls, SD in 1966. Sharon was employed at the State Theater while in high school. She married Roger Timmer in April 1969 and was employed at GTA Feeds. Sharon was also part owner of Rental Connection in Sioux Falls until she and her family moved to Arizona in 1988. Sharon retired from Salt River Project after about 16 years and moved to beautiful Pine, Arizona. Sharon worked part time for Prudential Arizona Properties and U-Haul. In 2006, she married Russell (Rusty) Kovalik. Throughout her life Sharon enjoyed socializing with friends and family. She always had a heart for animals. Later in life, Rusty introduced Sharon to the enjoyment of bass fishing and hunting in the serene mountains of Pine, Arizona. Mother, Donna Ross of Sioux Falls, South Dakota. Beloved husband, Russell (Rusty) Kovalik of Pine, Arizona. Daughter, Tara (Timmer) Taylor, her husband Chris and their two children Ashley and Caitlynn of Mesa, Arizona. Son, Brian Timmer and his wife Tracy with their daughter Aiden of Payson, Arizona. Son, Jim Wentzlaff, his wife Kim and their children Kian and Kellan of Lakeville, Minnesota. Sisters, Cindy (Ross) Bunkers, and Tami (Ross) Anderson and her brother-in-law Roger from Sioux Falls, South Dakota. Previous spouse, Roger Timmer of Strawberry, Arizona and multiple nieces and nephews. She was preceded in death by her father Charles Ross and brother-in-law Phil Bunkers. The family will hold a private service for Sharon near the mountains she loved so much. Memories and condolences may be shared online at www.awisechoiceaz.com or mailed to: Tara Taylor, 6645 E. Preston Street, Mesa, AZ 85215. I’ll always remember Sharon’s voice on the phone, she was on the network support team at SRP helping fellow employees with computer security issues. She was always so helpful and quick to resolve any problems. What a great gal she was; she will be missed. Sharon and I became good friends when she started working contract for Payroll @ SRP and then eventally became a permanent employee. Sharon gifted me the sweetest little dog I ever loved, Little Emmy. I remember all the laughs in payroll and the lunch hours that we shared. After Sharon moved to Pine, I enjoyed visiting her there. I know how much she loved that area. Sharon will be missed, she was a delightful, intelligent person who was always interesting to be around. My condolances to you and Brian and your entire family. I worked with Sharon in the IT Dept. of SRP, and then later was surprised to learn she had moved to Pine where we had retired a few years earlier. In addition we both worked for Prudential in the Pine/Payson area. I am extremely sorry to learn of her passing. We were away at the time and upon learning of this, we were just shocked. Our condolences go out to all the family members, some of which we had visited with during the last ten years or so. Rest in Peace.